When it comes to shingles, there are several options when it comes to keeping your home protected, properly insulated and looking good while potentially increasing your home’s value. Knowing about your shingle options and the benefits of each will help you to choose the best option for you to make your home look great. Shingles come in wide variety of variations, but asphalt shingle roofing is the consensus choice for most homeowners. When it comes to selecting a roofing system for your home, asphalt shingles continue to be the choice for most homeowners. 4 out of 5 residential homes throughout the country chose asphalt shingles. It’s easy to see why… when compared to other types of roofing options; asphalt shingles provide a beautiful, affordable and reliable solution due to its wide variety of styles, textures and colors. They are also cost-effective, durable and very easy to maintain. They are an ideal weight, have a long life expectancy and are durable pose very few leak problems when installed correctly. Asphalt shingles are also recyclable after their time on your roof which is great for the environment as they typically take on new life after protecting your home. Shingles come in a wide array textures and styles to choose from, they even look like wood, cedar or slate and none of those materials can match the benefits asphalt roofing provides. With its unparalleled durability and performance, the bottom line is you simply won't find all these features in a single material...unless it's asphalt. Contact Maximum Construction & Restoration LLC for more information. Asphalt Shingles: Shingles made from asphalt are the most popular and most affordable. There are several different sizes, colors and styles to choose from and many of them Energy Star standards, which can allow you to save on energy bills. They can only be used on a roof that has a steep slope. 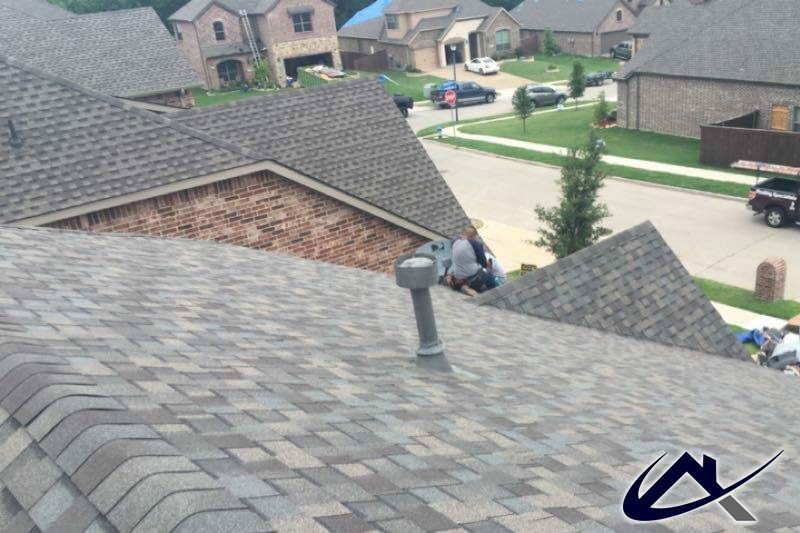 One negative aspect is that they provide little defense from the summer’s heat, unless a “heat shield” is applied which has proven to reduce temperatures in your attic by 25-30 degrees. Architectural Shingles: Durable and luxurious; these shingles are thick and guaranteed to add value to your home. Architectural shingles aren’t made with cutouts. They also contain extra asphalt, which gives it more curves than three-tab shingles. Architectural shingles are waterproof, but aren’t recommended for roofs with a low slope due to the roof’s susceptibility to wind-driven rain. Three Tab Shingles: Three-tab shingles are thin and less expensive than Architectural Shingles, but they have a 20- to 30-year lifespan. Cutouts running along the bottom edge makes it look like three different shingles when installed. Fiberglass Shingles: Weather resistant and waterproof, these shingles are the standard variation. Fiberglass asphalt shingles are made from a fiberglass base mat and layered with a waterproof coating. They have many features like being light in weight, fire-resistant, durable and resistant to UV rays. They also typically carry a longer warranty.